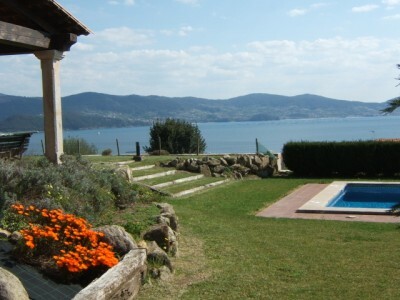 Fantastic villa near beach with amazing sea views, garden and pool . 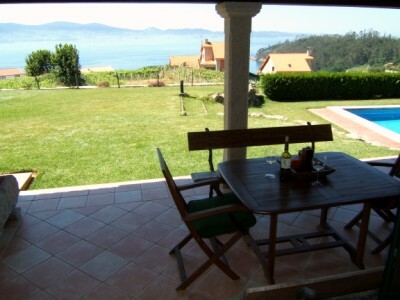 Fantastic villa in beautiful sea line setting, 500m from the closest beach, and near the local village of Sanxenxo, with full shopping facilities, bars, restaurants, etc. within easy travelling distance of magnificent white sand beaches, has a secluded garden with amazing sea views, swimming pool and a porch at the back, barbecue. 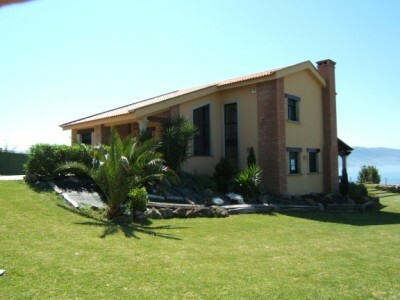 On ground floor, which splits in two levels, the entrance level and the porch level at the back, there is a garage (used to store the swimming pool tools and garden furniture), a bathroom, a bedroom, the livingroom, a porch overlooking the pool and an impresive scenery of the coast, and the kitchen. On first floor (only a few steps by the main entrance), there is the main master bedroom with an ensuite bathroom and cloackroom, two bedrooms each with a set of 2 beds (pull out bed underneath), and a shared bathroom. 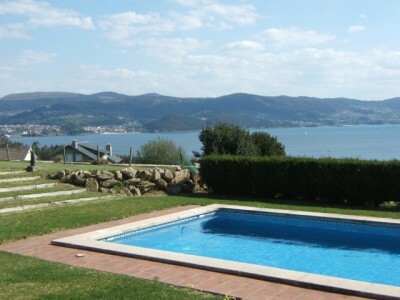 Nearest airport: Vigo, about 40 Km from the house (40 min drive). Santiago airport is at 1:30 h drive, and Porto airport, in near Portugal, is at little more than 2 h drive. Coastal views from back garden. House and coastal views from front garden. 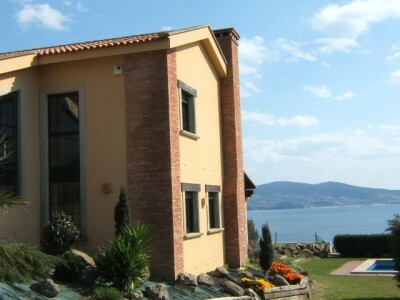 Prices are in Euros for up to 6 people. Saturday is the normal change over day for weekly rental.